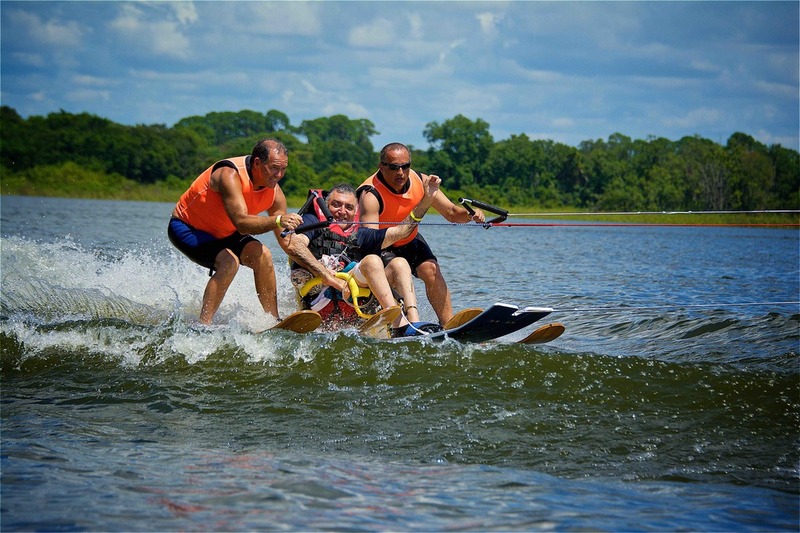 To Have an experience on the water free from the confines of disabilities is a wonderful thing. 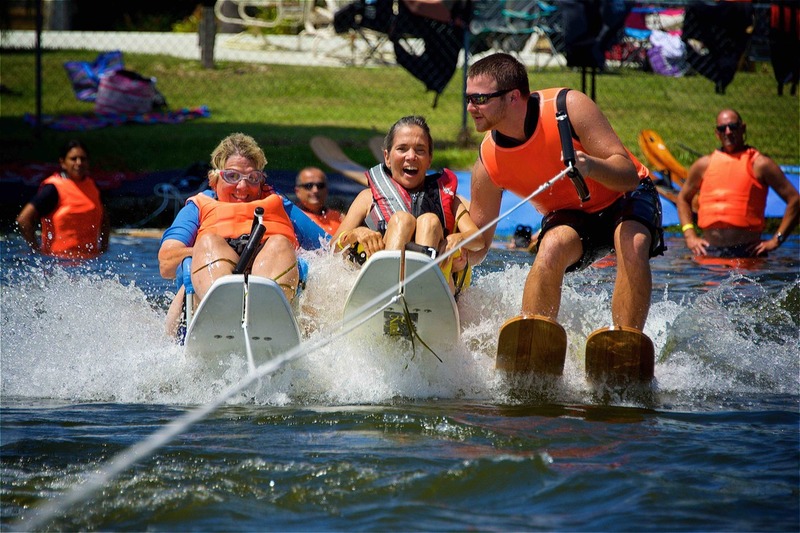 Come ski with us at our events or competitively at tick skiing, Slalom skiing or Jumping or compete in Wakeboard competition though the WWA Tournaments Series. 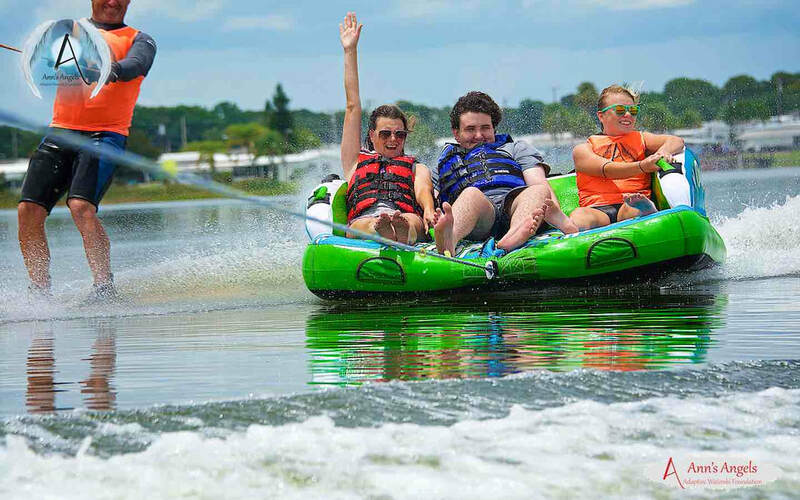 Click the Red Button below to contact our President for more details on Wakeboard and Three Event Tournaments near you. We are adding new events for the future and making new open to the public clinics as well. To see our Schedule click the blue button below to find each event and the contact for that event. Most events are closed to the public due to the host organizations wanting their clients to be the only participants. Some times you can sign on with that program and attend the clinic as a client of the program or sign onto one of our open to the public clinics on the schedule. If you can not find a event to attend contacting a host organization may be a way to sponsor a event in your area. Check Out Our Schedule to See if We have an Event Near You ! Individual sessions are available and are conducted in Winter Have Florida. 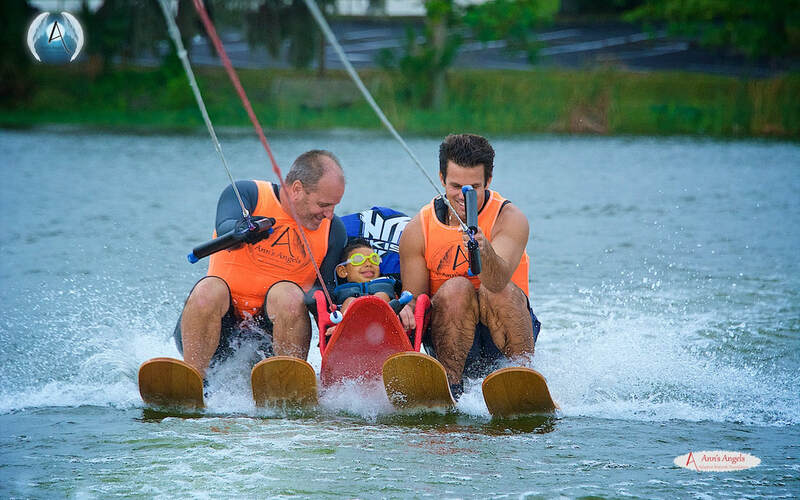 Check with us on availability of dates and times and partake in a great Water ski experience you will not soon forget. Most Events are closed and for the host organization's participants only but there are some open public events or check to see if you are a part of one of our host's programs by clicking the schedule above. To participate in our clinics please understand there are some disabilities and situations that for safety reasons we can not allow to participate. Open tubes or open wounds in the body. Breathing tubes, feeding tubes or draining tubes of any kind can not be put in the water. Stable catheters are ok if they can be secured. If there has been a seizure within the last year it is not possible to insure this participant and therefore we can not have them participate in a clinic for the safety of the program. If someone suffers from brittle bone via bone density or lose of bone strength this activity would be too dangerous for any individual that has this complication to partake in. In some cases the participant will have limited control of the neck or other body parts. In the case of the neck the bouncing could cause injury. Depending on the severity or lack of control the participant has could affect or limit the activities or how we have them participate. The safety of our volunteers is an issue here. We have to protect our volunteers and other participants from acts of violence. If a participant is prone to acts of violence it would be dangerous to put our people in harms way. We will have to evaluate the situation and address it accordingly. Hemophilia or other forms of blood related problems can cause problems or trauma with this type of activity. Contact us to get a list of these conditions. Some are controllable and depending on the treatment they are receiving could be allowed to participate under limited conditions. There may be disabilities or situations that for safety sake we are not equipped to handle safely. We have to reserve the right to refuse a participant the right to participate in our water activities in these cases.